Is this the rare 8" arrow? Nah, couldn't be (really, I'm not sure on this one). Odd skewed intersection - extra fun with span wire. 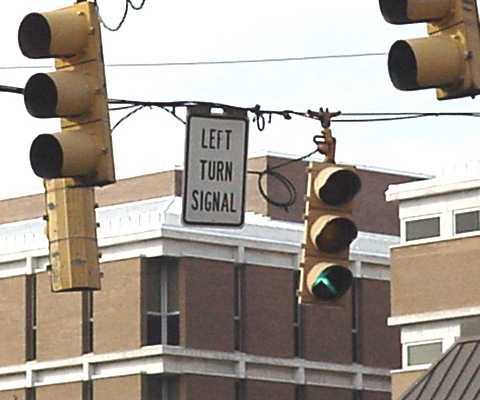 This one has the infamous "Left Turn Signal" sign (R10-10L).